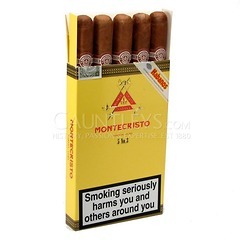 This is the most popular Havana by far. 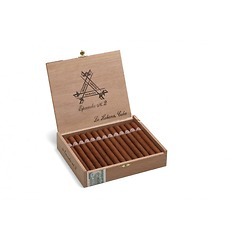 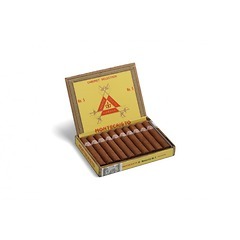 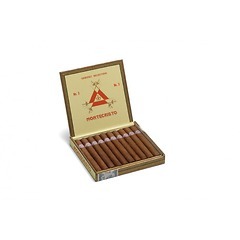 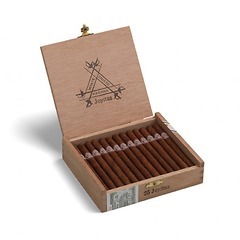 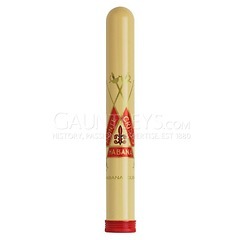 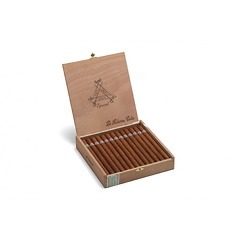 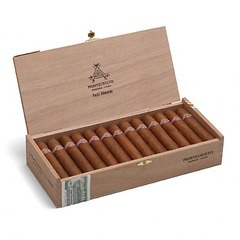 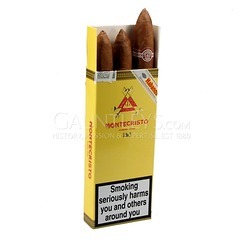 Around half of the cigars exported from Cuba in any one year bear its simple brown and white band. 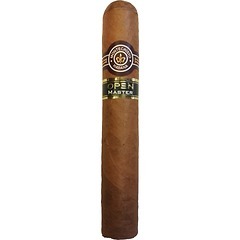 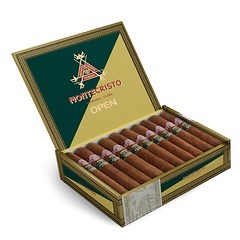 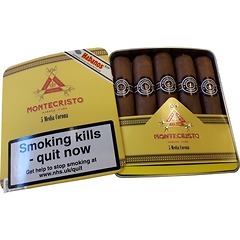 Montecristo was created in 1935 by Alonzo Menendez and Pepe Garcia as the H Upmann Montecristo Selection, and was to be the 'Grande Marque' of the recently acquired H Upmann brand and was limited to just five sizes. 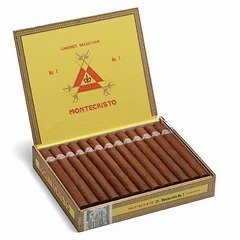 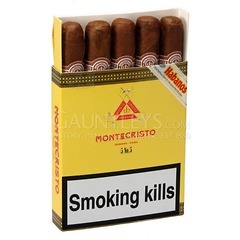 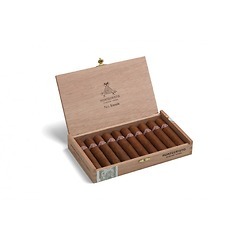 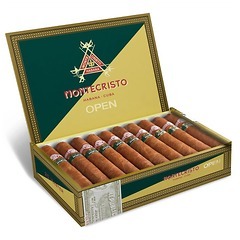 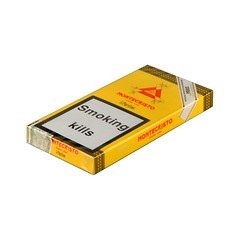 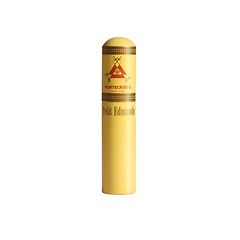 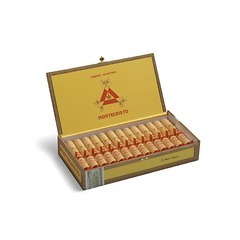 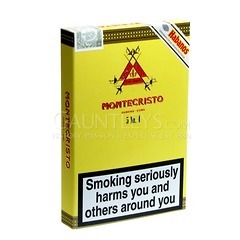 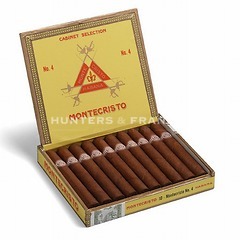 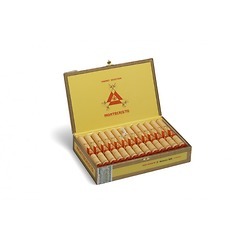 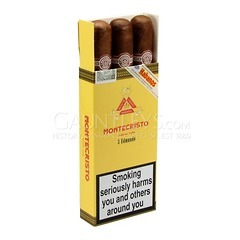 The change of name simply to Montecristo was due to the British firm of John Hunter, who was appointed to be British agent, wanting to differentiate the brand from H Upmann which rival company Frankau handled. 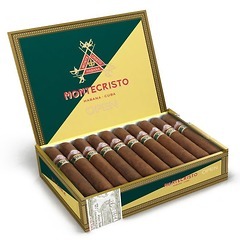 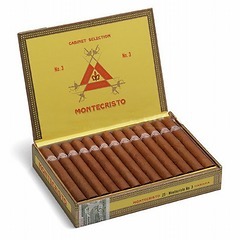 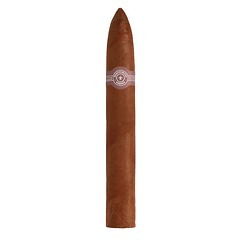 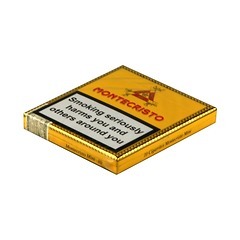 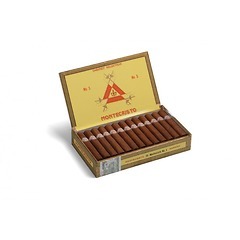 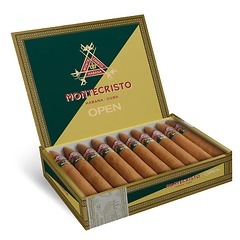 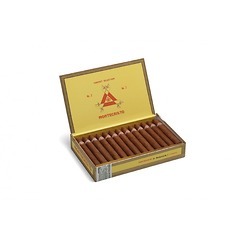 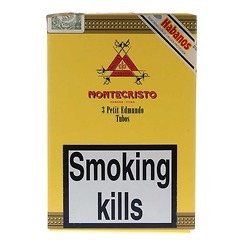 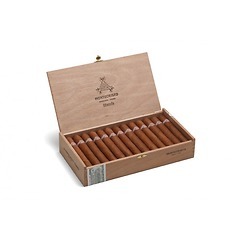 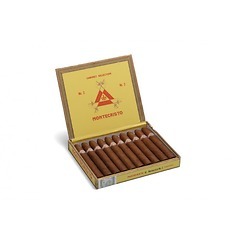 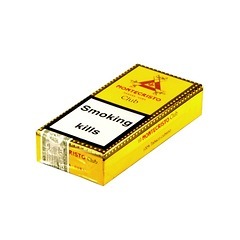 Montecristos, with their characteristic Colorado-claro, slightly oily wrappers and delicate aroma offer a medium to full flavour spiked with a unique, tangy, spicy taste.